Along with its sister ships, Crystal Debussy was built to sail the Rhine, Main and Danube rivers. The 135-meter vessel debuted in April 2018. 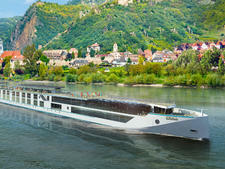 Crystal Debussy's 106 passengers can expect luxury-level dining, service and accommodations. Cabins range in size from 220 to 759 square feet and boast walk-in closets and first-in-industry king beds. Cruisers can swim in the ship's pool, enclosed with a roof that can open in sunny weather; find a new tome to read in the onboard library; or pay a visit to the gym or spa. All suites will have butler service. 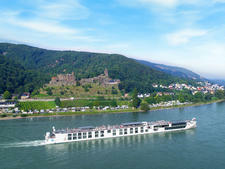 In terms of activities, Crystal River Cruises offers both active and cultural excursions on all of its ships. 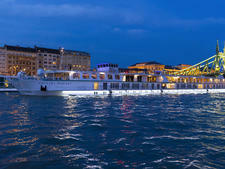 Tours also include nighttime Michelin-starred dining ashore on evenings when the riverboats spend the night in ports of call. Those cruisers who enjoy water sports are in luck; Crystal Debussy carries kayaks and personal watercrafts for free passenger use. Electric bicycles are also available for anyone wishing to explore port independently. Crystal Mozart is the first ship in Crystal River Cruises' fleet focused on the highest level of amenities, service and experiences.